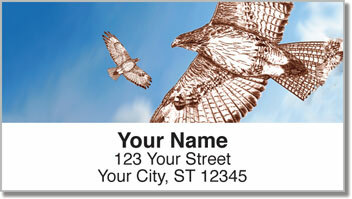 The red-tailed hawk is a common bird of prey. But its abundance in North America doesn't make it any less majestic. 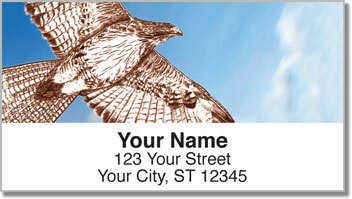 Keep your eyes peeled and you'll see them on telephone poles, treetops and fence posts wherever there is open country. You'll spot hawks circling high in the sky on walks through grassy fields, as well as along the interstate during long road trips across the country. They are always watching the world below. It's quite likely a hawk sees you long before you see him. 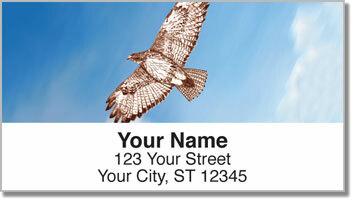 Red-Tailed Hawk Address Labels from CheckAdvantage will beautify your mail while making it extra easy to complete the task of filling out envelopes. No more writing. Just peel and stick your name and address and you're good to go! 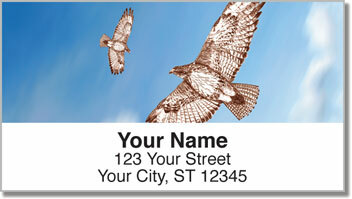 Get your own Red-Tailed Hawk Address Labels today! Complete your order with matching checks!